Really a "burning " wall, exellent job man. 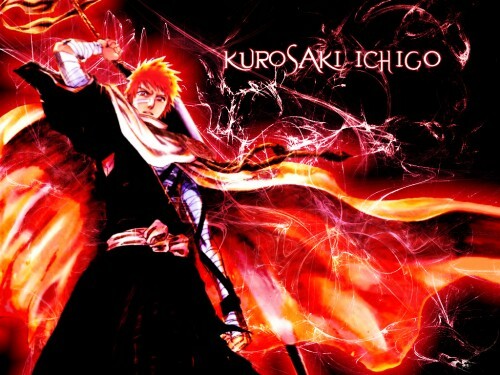 lotsa flames and red ... it suits Ichigo. He looks a bit blurry though ... I guess that was intended? :) Either way, whether or not intented as blurry, it's a great wall! Nice job! I'm interested in knowing how you made the images in the background look the way they do. I mean, just the lines show. That's a good effect. this pic is awesome! the collors, everthing.. thanks ! Great Background - Excellent Wallpaper!